Have you ever thought through what your organization would be in next few years? A strategic road map is a visualization representation of what actions are needed to help your business achieve its long-term goals for success. It connects the work done by the people in your organization by showing everyone how their everyday actions fit with the company's vision of where it wants to be in the future. A well-designed strategic road map is like a GPS for your business. 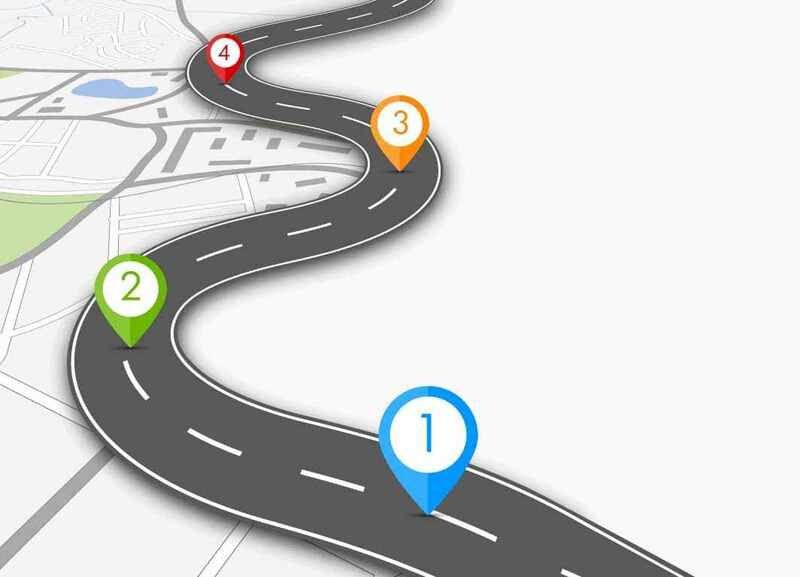 It not only tells you where you are and the quickest way to get to your destination, it can even shorten the route as less time is wasted with team members trying to figure out things on the go. Failing to plan for the long term in your business is like trying to reach your destination without deciding the route to take. It's a likely way to lengthen the route to your ultimate destination. To ensure your business heads in the right direction with a minimum of detours, you should consider using strategic roadmaps. Scrutinysoft Strategy is well versed in preparing road map for clients through in-depth analysis, capitalizing strong industry practices, detailed view of past, present and future trends, enriched updates on global happenings. We provide road map with detailed information and achievable milestones. We help your organizations in effective implementation and assure results. The cutting-edge technologies, high-end algorithms, strong data, efficient and talented strategists help you in defining road map.